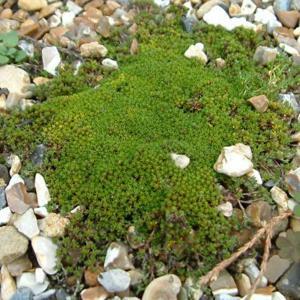 Dense, cushion-forming perennial with tiny, silky-hairy overlapping leaves which are pale green at first, darkening as the age and becoming brown-tinted in winter. Small yellow flowerheads, about 5mm. across, in spring. Sharply drained soil with a top dressing of grit, in full sun or a little shade. Dislikes winter wet and prefers fairly mild winter temperatures, otherwise best grown in an alpine house.